Help Dora in her space adventure with Boots. In Dora's space adventure, Dora and Boots helped space people back to their purple planet. Dora will become an astronaut in this game. Go play this Dora the Eplorer game! 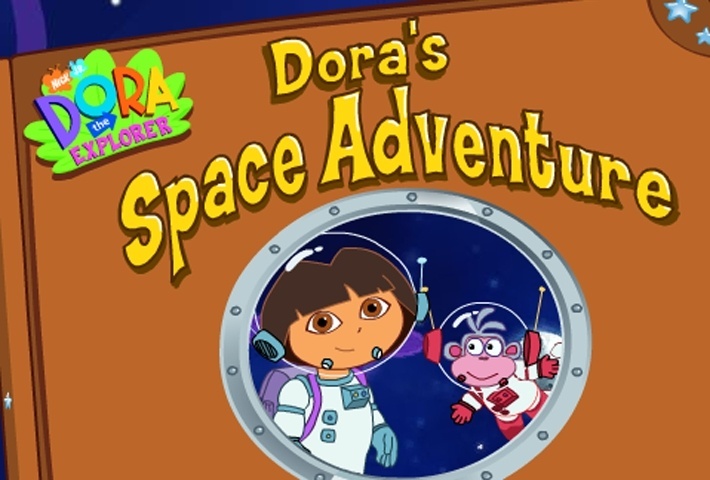 Use the mouse to click on the arrow to move the story along and help Dora and Boots do things like count all the space creatures and get them into their proper seats on the space ship. They also need help getting rid of space rocks that are in the way of the rocket ship and finding the battery for the ship that Swiper swiped. This game has one level. If you want to play Dora The Explorer Dora's Space Adventure games online you have come to the right place! GamesLoon adds new Dora The Explorer Dora's Space Adventure games every week. This is your game portal where you can find the biggest collection of free Dora The Explorer Dora's Space Adventure games online. Do not forget to rate our Dora The Explorer Dora's Space Adventure free online games while playing!